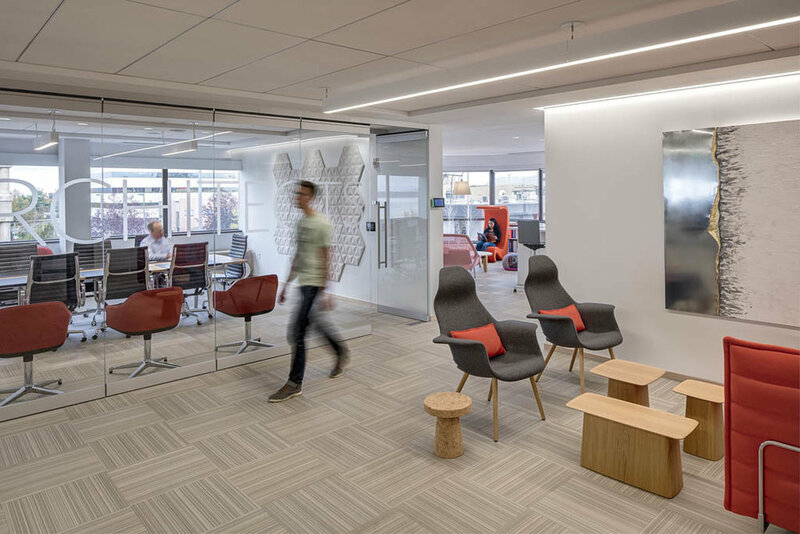 KPB Architects created a studio space that supports workflow and team collaboration. The studio was designed to support change with daily activities. 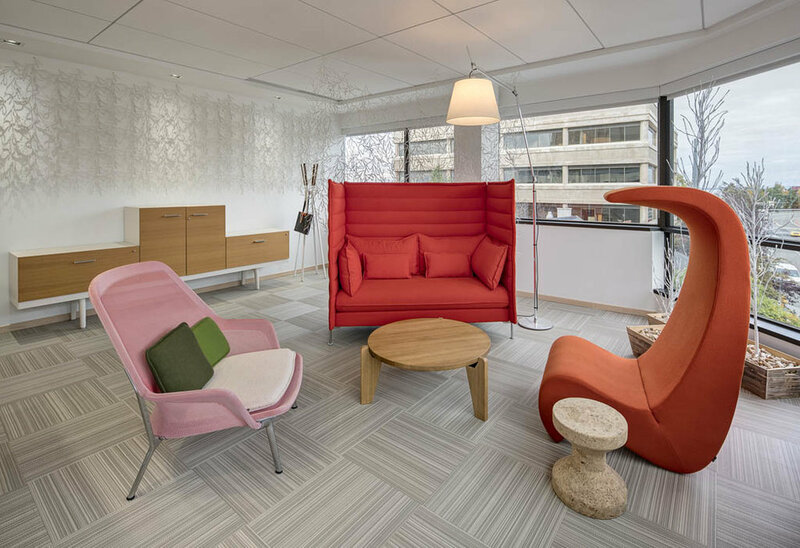 The client Welcome Center includes a living room that provides a place for casual meetings and conversations. The Living Room is an alternative to the traditional Conference Room and includes soft seating in a lounge arrangement. The studio includes a Lab that allows clients to experience building materials in a "retail’ forum so they can be a part of the design process when considering materials for their project. The Project Room is supported by technology with access to the network. Project teams and clients meet to work in real time by editing Revit models and coordinating with consultants. The design studio is called "Home Base". The Architects and Interior Designers work in a "dinner table" layout that promotes interaction. Height adjustable tables face each other in a pod of six to create project teams. In the past, the staff worked with their backs to their teammates. Now, while sitting face to face, as you would at a dinner table, there is more conversation and sharing of knowledge. The work tables are efficient in size. Each table has two rolling storage units for personal use and a wireless phone. This promotes mobility throughout the studio. Having less "I" space provides more square footage for "We" space. Teams share project layout tables between the pods as well as common project storage. Leadership is visible to the studio by using full height clear glass walls. The connectivity between leadership and the studio creates a cohesive work flow. The Social Hub is directly open to the studio and is also used for casual meetings and celebrations.